One of the key parts of Feng Shui is color. Specific colors are used to affect the flow of Qi, energizing or calming as necessary. 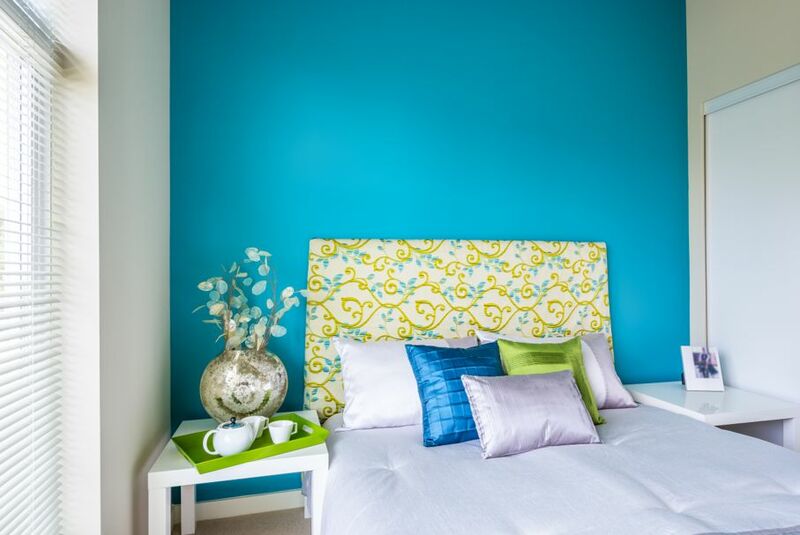 One of the key parts of Feng Shui is color. Specific colors are used to affect the flow of Qi, energizing or calming as necessary. These colors don’t have to be used in overwhelming, clashing ways, and it's entirely possible to create a colorful Feng Shui living room. Rather than have all four corners of your house painted in different colors, you can simply add a decorative item in the right color to the appropriate place. Different areas of the space in a home represent different areas of our lives, and the way each area is designed and decorated is believed to have an effect on the success we experience in the corresponding area in life. A strong, sunny yellow is considered representative of the element of fire in Feng Shui. As such, it’s an energizing color that is often used in the southwestern corner of your space, which corresponds with the love life or your relationships. Placing a bright yellow throw pillow on a convenient chair, or decorating with yellow flowers in that corner, can energize your relationships and bring new vigor to your love life. 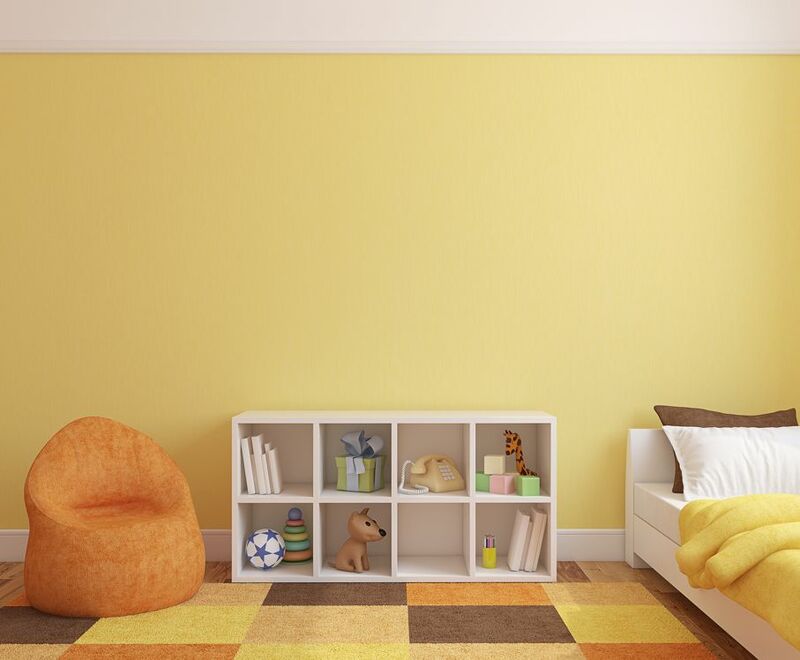 In a more general sense, yellow is often used in Feng Shui for children’s rooms, where the bright and happy passion of the fire element is perceived as a cozy, nurturing energy. Blue is, naturally, associated with the element of water in Feng Shui. It has two sides that work together perfectly: a calming, peaceful energy that relaxes anxiety and stress, as well as a mysterious and creative energy that opens the mind to new ideas. Blue can be used to great effect in the southeastern and northern corners of your home, which correspond to the areas of finances and your career. A fish tank with blue fish, a deep blue focal wall, or a blue patterned sofa in any of these corners can bring your career both a sense of peace and stability, as well as a new creative energy that allows you to explore new opportunity. In Feng Shui design, blue is frequently used in spaces where people like to feel at peace, like a bedroom or bathroom. Grey is a popular neutral for many designers in recent years. For those who practice Feng Shui, grey represents the metal element and is considered to have a neutral, clear energy. If you need to practice a calm detachment from areas of stress, grey is the color to turn to in Feng Shui. It also means precision, making it perfect for the northern corner that corresponds to the career. You’d be surprised to learn, however, that grey is frequently used in the areas that represent creativity and productivity (the west and northwest, respectively). That is because its clarity and crispness can be very beneficial for tackling goals that can seem intangible. 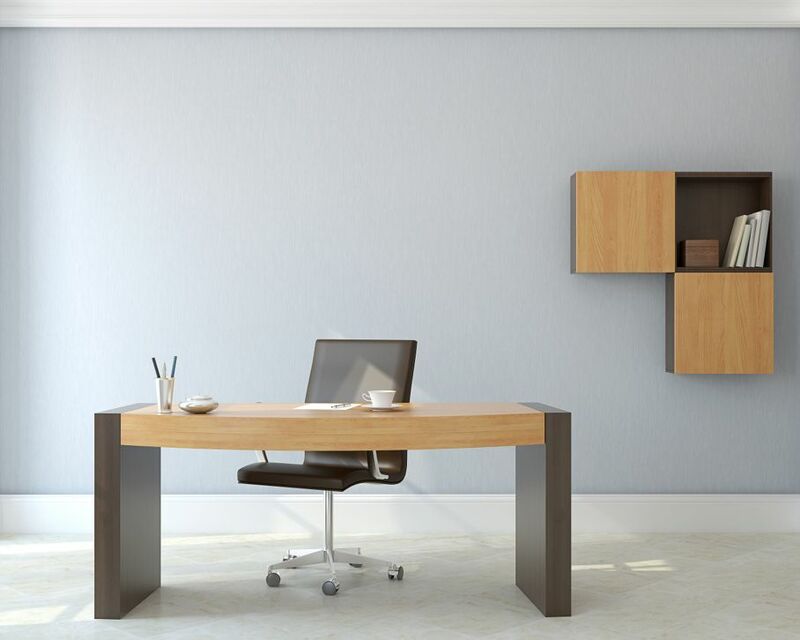 For these reasons, grey is often used in a Feng Shui office space. Purple is another fire element color, but this one brings a different sort of energy compared to sunshine yellow. Purple has long been seen as a royal, noble color that expresses a sense of power, and Feng Shui is no exception. In fact, the use of purple is usually advised only in moderation because of its powerful energy. Because of its mystery, most Feng Shui designers don’t recommend it for any one space. 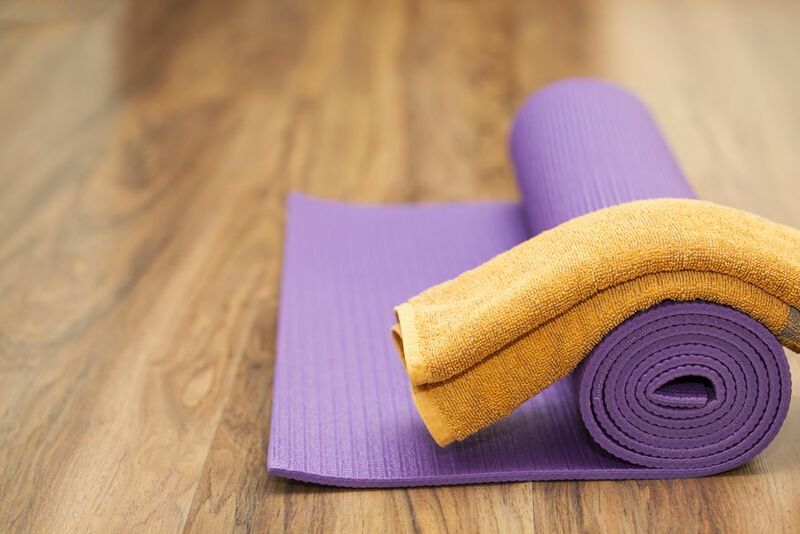 Instead, it is often used to decorate meditation spaces, where the intensity and depth of the color go hand-in-hand with a deep spiritual practice.